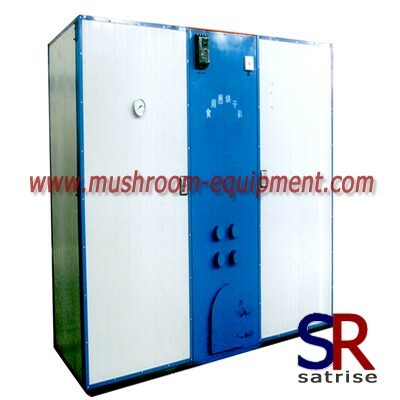 mushroom dryer machine / mushroom dryer manufacturers,mushroom dryer machine / mushroom dryer exporters,mushroom dryer machine / mushroom dryer suppliers,mushroom dryer machine / mushroom dryer OEM service. 1.wide application,suit for drying dehydration of raw material in pharmaceutical, chemical, foodstuff, industry. 2.The machine is made of composite insulation board,it's heated by infrared tubular electric heating element and blown by exhaust fan. 3.The temperature is controled by microelectronic temperature contronller. 4.It's widely used to dry edible mushroom,vegetable and food etc. Zhengzhou Satrise Industry Co,.Ltd is headquartered in zhengzhou city, Zhengdong New District -the Most High-End Core,beautiful environment and convenient transportation. Of course,we can also offer mushroom factory budget and layout according to your information.